My alma mater, the University of Michigan, has a double standard on who is allowed free speech on the tax-funded, public university’s campus: Muslims, yes; everyone else, NOOOOOOOO! 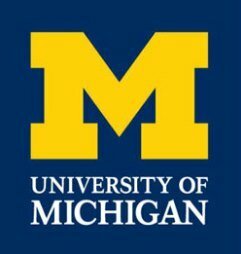 This week, under pressure from Muslims, including the openly anti-Semitic SAFE (Students Allied for Freedom and Equality), U of M said it was canceling a showing of the movie, “American Sniper.” Then, it said it would show the movie but only with a “panel discussion.” The university only relented because new football head coach Jim Harbaugh (of whom I’m not normally a fan) objected. Good for him. The school will also offer a showing of “Paddington” for Muslim students and protesters who are “uncomfortable.” Those who read my movie reviews know that I was not a fan of this movie (read my review) because I saw it as an anti-war movie (director Clint Eastwood confirmed it was and Rosie O’Donnell praised it as such, as did Michael Moore, despite his objections to the film) and because I thought it depicted most heroic American soldiers coming home from war as defective or mentally unstable (or just dead). 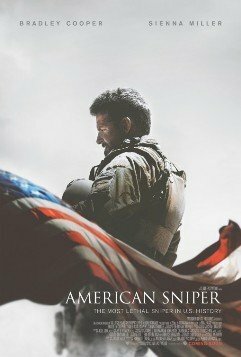 But the movie has caught on among my fellow political conservatives who see it as a patriotic film because they rightfully remember the heroism of its late subject, sniper Chris Kyle (heroism I felt was disserved in the movie). American (In Name Only) Muslims don’t like American patriotism. They also don’t like truthful depictions of Islamic terrorists in Iraq. (Were they actually Eskimo terrorists in Iraq?) So, the U-M first canceled the movie, then said it would only show it with the “appropriate panel discussion” to “reflect” on the movie. You know what that means: Muslims attacking the movie for showing what actually happened in Iraq. Contrast Michigan’s actions against “American Sniper” with its full-on support of the hosting of a speech by convicted Islamic terrorist Sami Al-Arian, the founder and worldwide chief of the Islamic Jihad terrorist group, a man who bragged in written communications about his group’s attempted merger with HAMAS and about his successful bombing of a bus in which American college student Alisa Flatow was murdered. Al-Arian was hosted by SAFE, the same group now objecting to the showing of “American Sniper.” He was the keynote speaker at the University of Michigan Divestment (from Israel) Conference in 2002, just a year after 9/11. At the conference, participants yelled, “Itbakh Al-Yahud!” (Annihilate/Slaughter/Kill the Jews! in Arabic). At the time, some Jewish and pro-Israel students hired me to file a lawsuit against the University attempting to stop Al-Arian from speaking on campus. He had been banned from his own university (the University of South Florida in Tampa), where he was on the faculty, had been running terrorist operations out of his university office, and where the university declared that he was a danger to the safety of students on campus. After the Divestment Conference and Al-Arian’s speech, as I predicted in the lawsuit, hate crimes and anti-Semitic acts against Jews increased on the campus. In fact, the son of one of the wealthy sponsors of the Divestment Conference used his car to chase after an Orthodox Jewish student pedestrian in a yarmulke and threw glass bottles at him. The student’s family was from Egypt but was expelled from the country as a result of Muslim anti-Semitism there. Now, it had found him in Ann Arbor. But, again, the University of Michigan has different standards for who is allowed to speak on campus. The University also banned from campus an anti-gay activist. And, when I was an undergraduate, the University forced me and my friends who were part of the campus Tagar group (a pro-Israel group) to change the slogan on a wood bus sculpture we erected in the middle the campus. The bus looked like it was being bombed and said, “Stop Arab Terrorism.” The school made us change it to “Stop All Terrorism,” and if we did not change it, we risked being expelled. I didn’t want to change it, but my fellow members of the group prevailed because they didn’t want to risk getting their degrees. Today, I would have filed suit. Again, the University of Michigan bows to Muslim students’ prerogatives on what sort of speech is allowed on campus. Jews, American patriots, anti-gay activists? They’re outta luck. All of this, by the way, continues to go on because Jewish donors–who are among the biggest givers to the university–keep doling out cash to the university, no matter what it does. If they said, “No, we will not give until you stop allowing Muslims to control what does and doesn’t happen on campus,” then things would change. But they don’t care because most of those Jewish donors are Jews In Name Only–liberals, who don’t give a crap that they are funding this inherent anti-Americanism and anti-Semitism on campus. They don’t care that the Muslim prerogative rules. This will be at the peril of their children and grandchildren and great-grandchildren in the long run. Michigan’s motto is “Artes, Scientia, Veritas”–Arts, Knowledge, Truth. But the University clearly isn’t interested in Knowledge or Truth, just propaganda pursuant to Muslim whim. And, frankly, since the University is censoring “American Sniper,” I really don’t think it cares much about the arts, either. Whenever university officials expound upon the principle of the free exchange of ideas on campus, they only mean the free exchange of the ideas they find tolerable, and only after the Muslims have decided not to exercise their apparent veto power. When people ask me why I don’t cheer on the University of Michigan sports teams, or anything having to do with my alma mater, stuff like this is why. All the touchdowns in the world mean nothing if patriotic Americans and proud Jews can’t say what they want on campus. 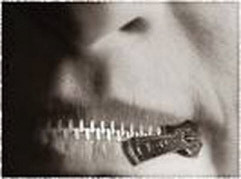 Universities in the United States are becoming burial grounds for Free Speech. Identity Politics trumps everything else, which has been increasingly the trend since the 1960’s. This is why I’ll always despise libs. They love Muslims and hate Jews. It was the same thing when I taught at Villanova U. years ago. 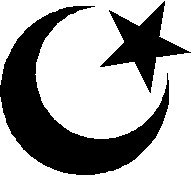 They had their noses so far up the Pally’s asses that they had a “Center for Islamic Studies” on campus. I once asked someone why they didn’t have an equal time Center for Hebraic Studies as well? No one wanted to answer me. For my vocal criticism of the school’s support of Pally terrorists, I was replaced by the division chair’s (a closeted Augustinian priest) effete boy toy from Lebanon who changed my entire film lit course into a Jihad Johnny film festival. Debbie, you can visit my website and see the stuff I taught in film. Tell me what content made for a superior curriculum. Maybe they can show some Porky Pig episodes for the Muslims. The U of M never recovered from the fact that the misnamed Students for a Democratic Society (SDS) was essentially founded there in the early 60s. SDS put conservatives on the defensive during the 60s, a defensiveness from which they never recovered. The other plague that infested the University was their sponsorship of the affirmative action lawsuits during the 90s and the following decade. The length of these lawsuits meant that affirmative action had a presence and a visibility there greater, on the whole, than at any other school in the country. Affirmative Action propaganda was hammered and hammered into everybody associated with the University, year after year. Given the flourishing of political correctness nationally during the last several decades, as an outgrowth of the 60s, the University used SDS and its affirmative action lawsuits as constant selling points to enhance its image. This meant an openness to virtually every group that was able to latch onto the handle of PC, including, of course, the Muslims. The Detroit auto companies were also placed on the defensive, for several reasons, not the least of which was their anti-Semitic traditions during the earlier part of the 20th Century. They were thus unable to exercise any moderating influence over the University, and eventually, they, themselves succumbed to leftist politicians. With the collapse of Detroit after the 1967 riots, there was no countervailing influence at all able to stand up against the lunacy that had taken over the University. Unfortunately, things look bleak in Ann Arbor. And then you wonder why college students were among the higher percentage of those that voted for Obama? This massive indoctrination they undergo, and the double standards over what constitutes “free speech” and “free exchange of ideas,” are key reasons why the 26th Amendment has been such a disaster in its own way for America as such “seminal” events as Woodstock (as Debbie once wrote extensively about) had been. Speaking of “prerogative” (it seems that the Muslims on UM are receiving a privilege to protect them); a few months ago, I read John Locke’s novel “Two Treatises on Government”, in Book 2, Chapter 14 of the novel, Locke talks about prerogative and how that the government uses it for a pseudo-reciprocal maneuver so that anyone or anything is immune from scrutiny. And that’s what your alma-material did Ms. Schlussel, of giving Muslim students a privilege about American Sniper, since the film will be shown on campus, they’ll feel uncomfortable and show faux outrage by being antithetical to freedom of expression. And think all reciprocities must come to an end, it’s all about protecting a thing where there’s limited critique! Really sickening how our universities are bending over to the terrorists. How come islamists are the ONLY people who can be offended?